1. 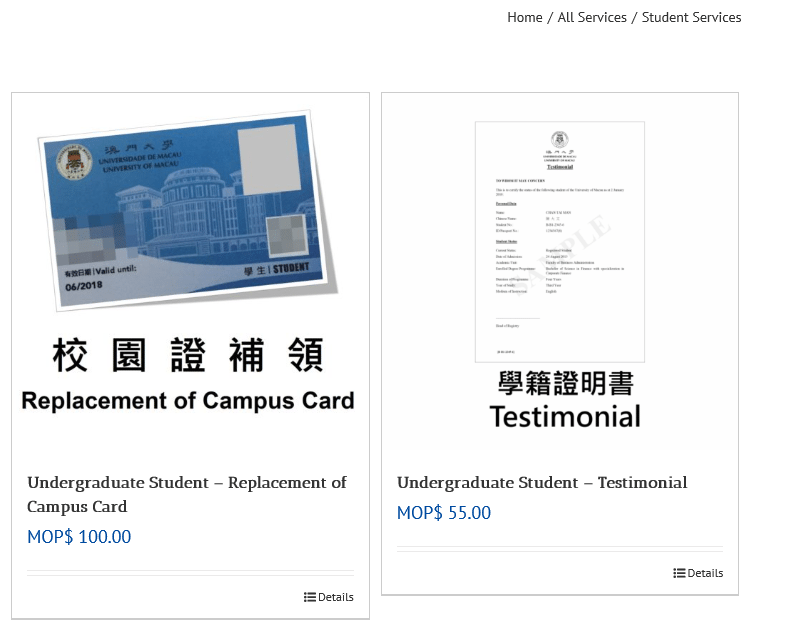 In Online Payment Service, student may click “Student Services” to view the available products. 2. The available services with price will be shown. 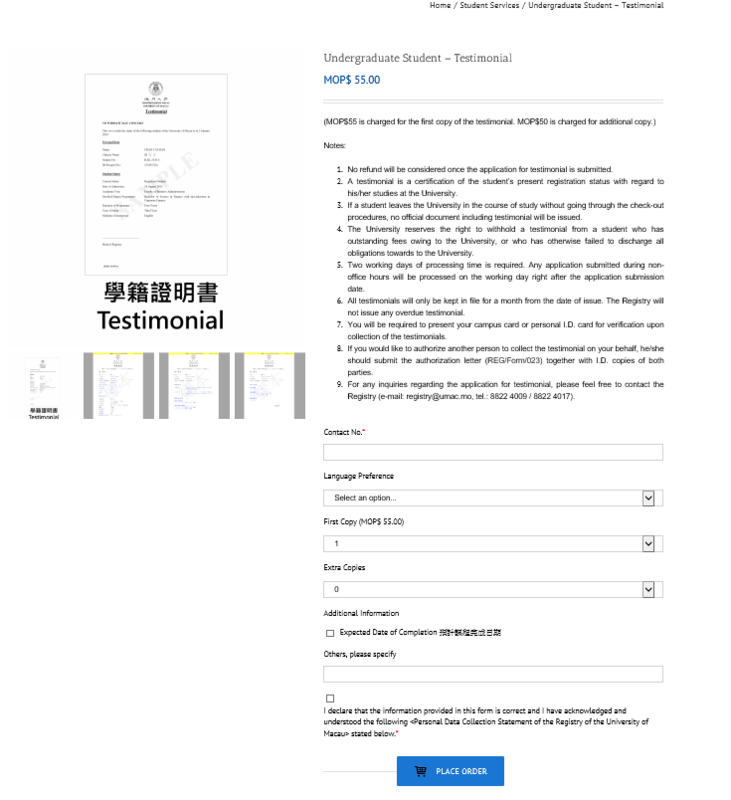 Click “Testimonial”. 3. Input the information, and click “Place Order”. 4. 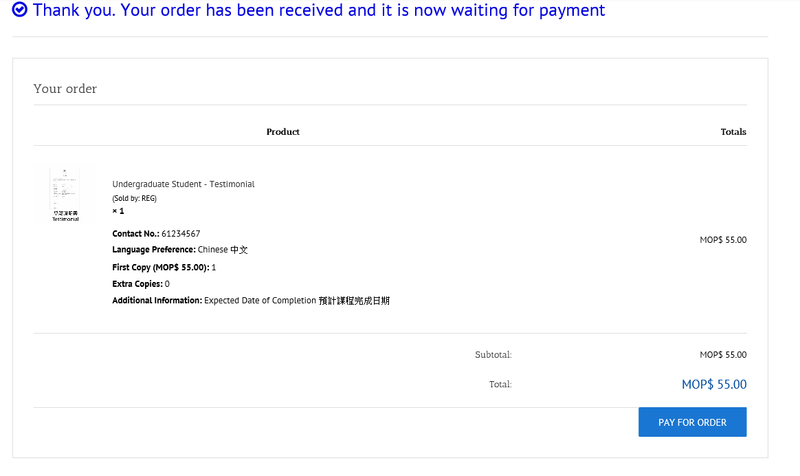 After you checked the order details, click “Pay for Order”. 5. 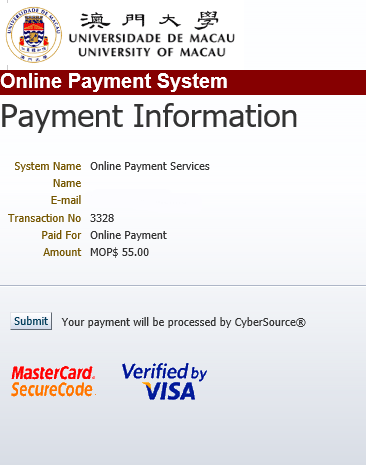 Then, it will be redirected to UM Payment Gateway Bridge to pay online. You may click “Submit” to continue. 6. 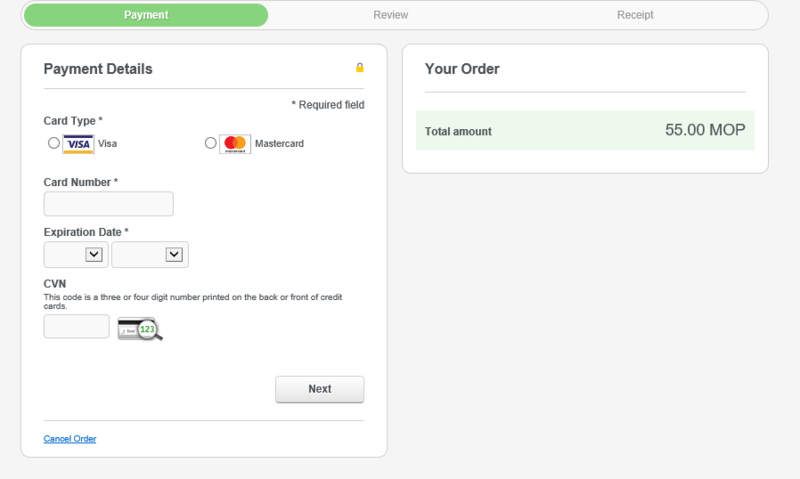 In the payment page, input credit card information, then click “Next”. 7. 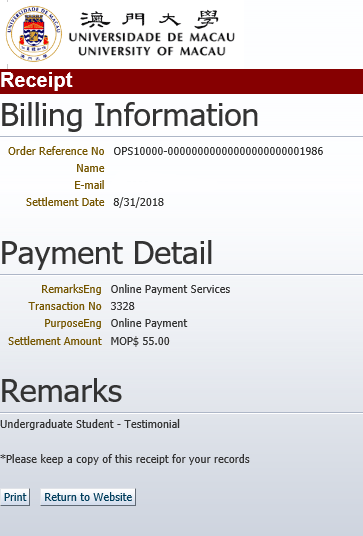 In the review page, check the payment details again, then click “Pay”. 8. 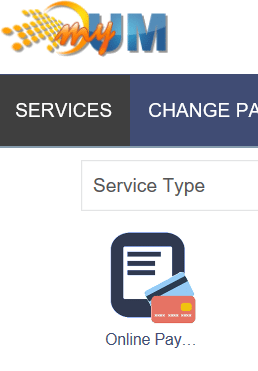 After making the payment, it will return back to Payment Gateway Bridge, you may click “Return to Website”. 9. 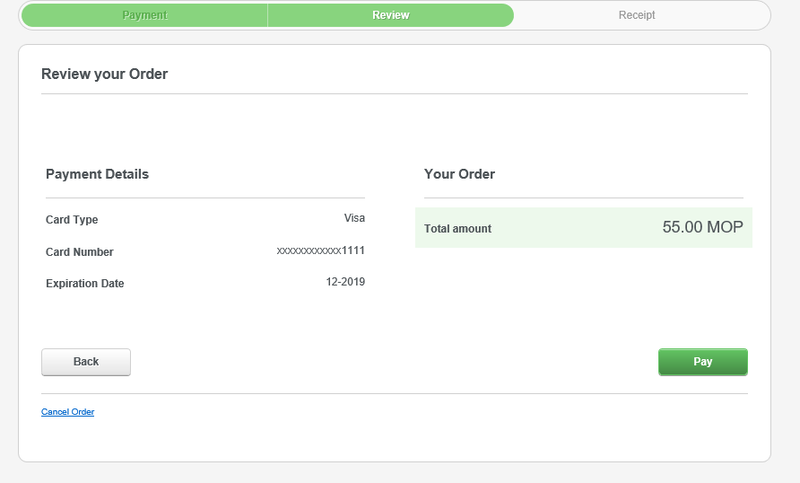 Finally, you will see your order number and order details. 10. To check your order status, you can go to “My Account” -> “My Orders”.